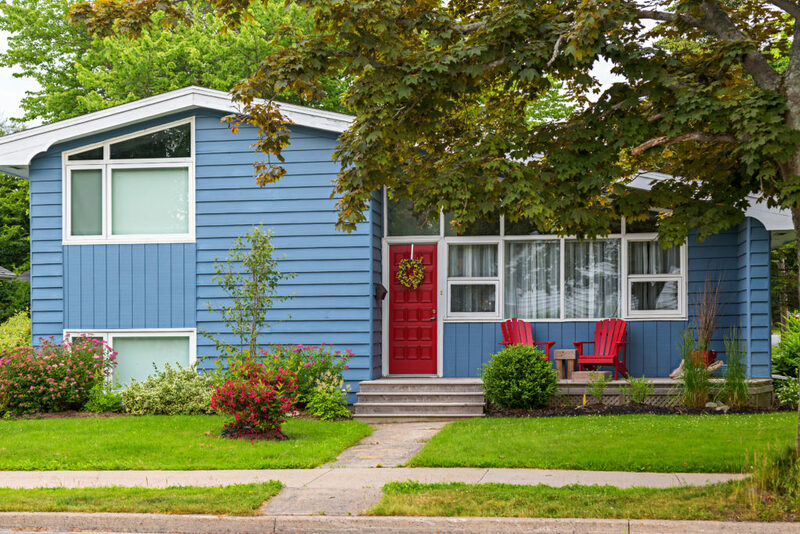 Vinyl Cladding is an engineered plastic exterior siding, manufactured mostly from polyvinyl chloride or PVC. The most obvious reasons for its popularity are its toughness and durability along with quick installation, various styling options and affordability. It is the most commonly installed exterior siding for residential construction. It is used instead of other materials such as aluminium or fibre cements. Durability and Resistance: Being constructed from plastic PVC resin, it is remarkably strong and unlike other material such as metal or aluminium it won’t rust, dent or conduct electricity. In fact, unlike wood, it won’t wrap, chip or rot and holds up well against the cement because it is rain, sun and wind resistant. Another perk is that it won’t wear down due to humidity nor become affected by pollution outside. It’s extremely long lasting and often can come with manufacturer’s guarantee. It is also resistant to sticker shock. Its overall setup and installation is relatively easy and fairly quick comparatively to other materials like aluminium and wood. Additionally, being a manmade product, it is readily available at cheap prices. Aesthetic Appeal: For aesthetic and decoration operations, vinyl cladding comes in overwhelming number of designs, range of colors and styles. It can be manufactured in any shade and hence can imitate the appearance of freshly painted wooden exterior for true authenticity. It first came in the market as a replacement for standard aluminium sliding in the late 1950’s and since then it evolved into multi-colour blends. It is very elastic in nature that it can easily be moulded to adjust the nature for your house and some manufacturers also offer door and window surrounds and shutters with the system. Maintenance: For damage prevention, you will simply need to have an occasional panel replacement, clean the panels annually and have an overview just to access the condition. It doesn’t attract termites or pests and if you are wise enough to hire professionals it can act as a great insulator and protect you against harsh exterior temperatures. Another addition is that as the product is casted in a certain colour, it will never peel off, scratch or flake unlike the painted surfaces. This saves you a lot on the painting crew budget every few years, but the colour may fade within 5-10 years. You Will Come Across Common Repairs That Include: Holes: Although, it is resistant to external forces, but if an impact is strong enough and confined to a small area, it can possibly puncture vinyl cladding. If the hole is very small, it can be patched with a small cut piece of siding or if it’s a larger hole, it may require complete panel replacement. Cracks: If you live in an area where it’s often cold and freezing, it may put an extra workload to repair the slide and leave a crack on it. Drawbacks: As we say, each formula has some drawbacks and vinyl cladding is no less. Despite being durable its penetrable if grazed by lawn mower or snow blower and get chewed or cracked up. Due to installation defects it can come off if exposed to high winds. Also, if installed incorrectly, it can leak causing rot, decay and infestation as it is meant to avoid leakages and makes it vulnerable. Also, vinyl due to its thin profile is likely to ignite fire and can release extremely poisonous and harmful gases such as dioxins, hydrochloric acid smoke.